Refugees’ lives are extremely challenging and their need for mental health services is significant. Refugees endure the trauma of having to flee their country of origin as well as the daily struggles of having to eke out an existence in Malaysia, a country that affords them minimal protection. 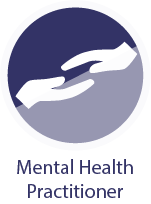 Health Equity Initiatives’ (HEI) Mental Health Services team comprises of volunteer Community Health Workers (CHW), Counselors, PsychoSocial Support Officers, Clinical Psychologists and Psychiatrists. The team is led by Dr. Xavier Pereira, HEI’s Founder, Director and Mental Health Services Director, who is a Psychiatrist and Psychotherapist. HEI takes a mental health and psychosocial (MHPSS) approach to mental health treatment. Thus, HEI’s interventions aim to respond to the different communities’ capacities, vulnerabilities, and with that, increase the opportunities for community strengthening. The MHPSS approach calls for a shift from an excessive ‘pathology-focused’, trauma-based model of service delivery towards one that recognizes the resilience and agency in the refugee and asylum seeker population whereby the interventions call for supporting existing strengths and building capacities in recognition of the diverse needs. This approach also recognizes the complementary and integrated services of stakeholders and service providers. Adopting a multi-disciplinary approach, HEI’s Mental Health Services team provides assessments, evidence based therapy, counseling, psychiatric and rehabilitation services, including a daycare program for the rehabilitation of patients with Schizophrenia and Major Depressive Disorder. HEI uses the Diagnostic and Statistical Manual of Mental Disorders (5th Edition) (DSM5) for diagnostic criteria. In addressing the mental health needs of patients, HEI’s Mental Health Services program makes external referrals to UNHCR and other partner organizations and internal referrals to the organization’s PsycoSocial Support Services. HEI provides additional support in the form of a transportation subsidy to certain vulnerable sub-populations like women, the chronically mentally ill, and those with severe mental illnesses to enable them to complete their treatment. HEI’s mental health professionals have treated refugees suffering from various conditions, including Major Depressive Disorder, Generalized Anxiety Disorder, Panic Attacks, Grief, Adjustment Disorder, Post Traumatic Stress Disorder (PTSD), Childhood or Developmental Disorders, Schizophrenia, and Acute Psychotic Disorder. HEI provides specialized and multi-dimensional services for individuals who have experienced trauma and torture. The range of mental health, physical health and supportive services are culture and gender specific. These services are also extended to the families of individuals who have experienced torture.